Where last spring was the season of limes, this spring was the season of lemons. We have a sunquat tree in our backyard that grew bucket loads of fruit. The sunquat is a cross of lemon and kumquat (a hybrid of Citrus limon and Citrus japonica) and has a thin skin and, being small, have a large relative surface area so you can extract a large amount flavour from them in the distillation process. 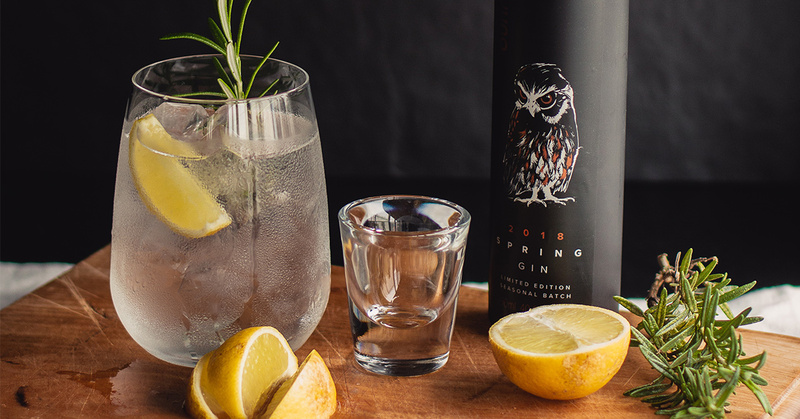 Combined with Camellia senensis (tea leaves), the citrus freshness has created a beautiful gin for your traditional G&T—ideal for welcoming in another summer. The bird on the cover is the ruru (morepork) and we love the idea that it’s observing what’s going on from its lofty position. It’s very wide-eyed and awake, much like this gin.